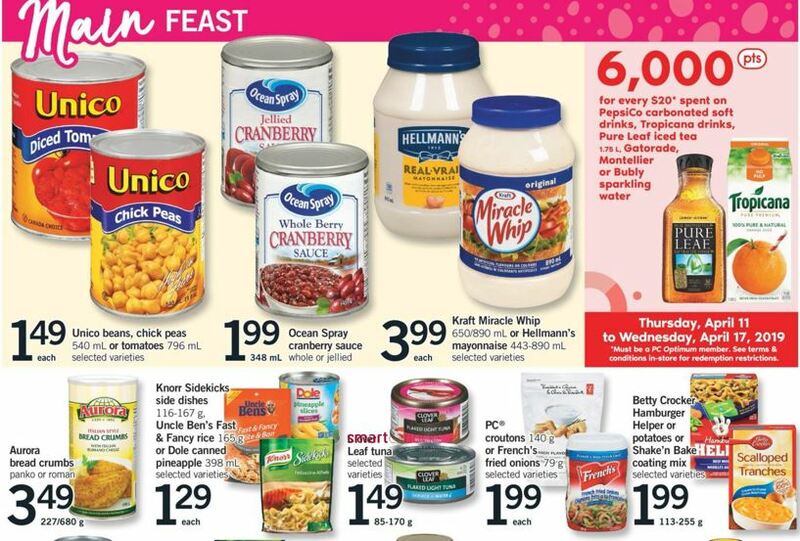 This week Fortinos Ontario has an in store PC Optimum points offer advertised in their flyer. Get 6,000 PC Optimum points for every $20 spent on PepsiCo carbonated soft drinks, Tropicana Drinks, Pure Leaf Ice Tea, Gatorade, Montellier, or Bubly Sparkling Water. If you’ve looked at your PC Optimum app this week. you may have noticed that you also have this loadable offer. Although some accounts may not have this offer, it appears that most do. Seeing as one offer is a loadable offer in your app, an one is an in store offer, you should get both sets of points, making it 12,000 PC Optimum points for every $20 spent on these beverages. If you still have your free product coupons from the Pepsi rebate offer, you can use those to bring down the amount spent and still get these bonus points. Click here to view this offer in the Fortinos Ontario flyer.